Beginning last week in Toronto, aspiring rye whisky enthusiasts can schedule a tasting with up to 15 guests in their own home, led by a Crown Royal brand ambassador. At the events, Crown Royal is sampling its Fine De Luxe, Royal Reserv, and XO, as well as Crown Royal Northern Harvest Rye, named the best whisky in the world by expert Jim Murray for 2016 and the best Canadian whiskey for 2017. The brand ambassador will lead the interactive tasting experience, educating participants on the history of the Crown Royal brand, the differences between its different products and the Canadian whisky category as whole. The program will come to Vancouver, Edmonton and Calgary in the new year. The company is promoting the program through word-of-mouth and promoted posts on Facebook, as well as a PR push handled by A&C. Diageo first tried a direct mentorship approach with “An Evening with Johnnie Walker” for its Johnnie Walker scotch brand, which was aimed at making scotch more accessible to consumers, who may be intimidated by what they feel is a high degree of knowledge required to properly enjoy it. Over three years, the program reached 30,000 consumers and Geoff Kosar, marketing director for Canada at Diageo, says the response from consumers was overwhelmingly positive. 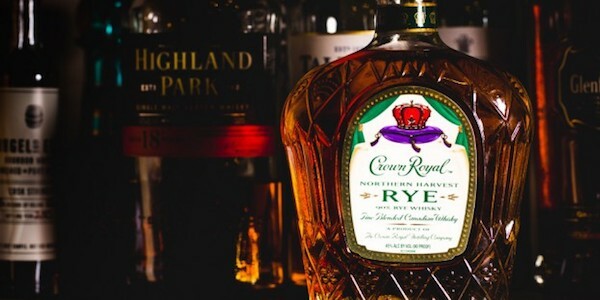 Bringing a similar approach to the Crown Royal brand was done partially for the momentum the brand has been experiencing thanks to the recent honours Northern Harvest Rye has received, but also because the rye whisky category presents just as many educational opportunities as scotch does. He adds that one of the other goals is challenging the misconception that rye whisky is best served as a mixer, and going one-on-one with consumers is a way to show them Crown Royal can stand on its own, as well as what’s special about each product in the lineup. Kosar says “Crown on the House” tastings will be similar to the Johnnie Walker program, albeit slightly more relaxed to fit with the target audience, which he says skews slightly younger than it would for scotch. This story can be found at: http://marketingmag.ca/brands/diageos-crown-on-the-house-brings-tasting-home-187161.